Specializing in interior design and furniture manufacturing, House of Zunn was founded in 1998 by a team of two designers working with a small but very dedicated team. Today House of Zunn has showrooms in UAE and Pakistan and has grown to become one of the top interior designing and furniture manufacturing companies in this part of the world with a large team of professionals working directly with them. The ready availability of skilled craftsmen and a steady supply of prime materials are among the reasons that HOUSE OF ZUNN can provide furniture of such extraordinary finish. We offer a high end product that doesn't simulate quality; it delivers it in every detail. 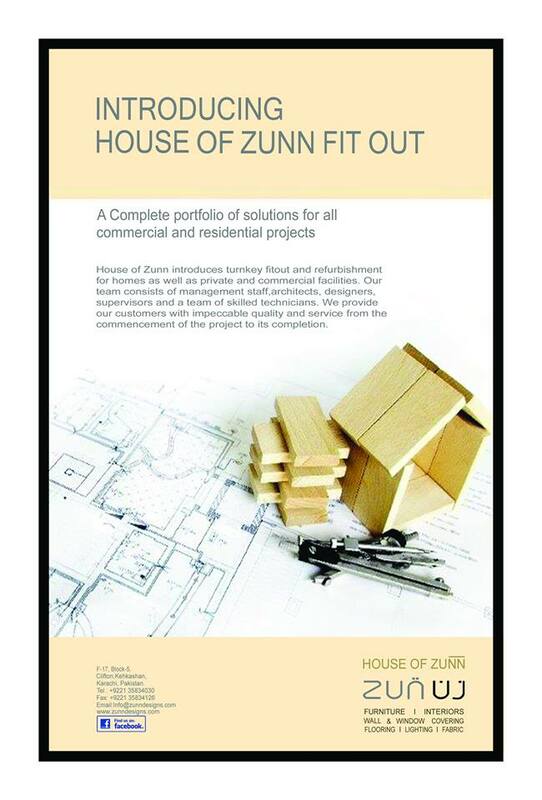 The team is responsible for all aspects of the project from beginning to end, allowing HOUSE OF ZUNN to fully value their end product and meet the clients' expectations. We think creatively, act respectfully, work passionately, and perform honestly. Our company is founded on these principles and our goal is to create products and environments of high design and glamour, and guarantee a captivating experience for our clients. At HOUSE OF ZUNN, the inspiration for our residential and commercial collections of contemporary furniture and accessories can be found in the renewable resources of Asia. Rich, exotic woods accented by natural Teak and Rosewood provide lasting beauty, style and comfort for any room. The complimentary nature of our collections provides endless design possibilities for your living room, dining room, bedroom and more. The wood and stone furniture manufactured by House of Zunn is of the highest possible quality with extraordinary finish details. 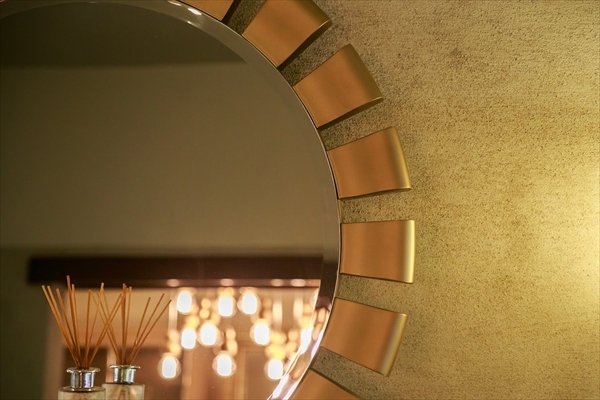 Our attention to details is unmatched. We will provide our clients with top quality furniture and an unforgettable service experience. House of Zunn offers the professional interior designer as well as the end user the widest variety of options in the industry. Our goal is to keep our line of furniture, lights and accessories as the most unique and creative in the marketplace. These exclusive collections are a world apart from ordinary furniture. What makes them so special is the way they are made by talented artisans whose skills have been handed down through the centuries. We will provide you, or your final customer, with a top quality piece of furniture and an unforgettable service experience. It all begins with the selection of only the finest woods, and the choicest specimens of veneers each with its own unique character, color and grain created by nature. Then, combining the art of hand craftsmanship with state-of-the-art technology, House of Zunn perfects the art of furniture design. Taking infinite care in the minutest details, we bring you the best of the old world and the new for a lifetime of elegant living. With an emphasis on quality and a commitment to the finest in design, House of Zunn’s products elegantly furnish the most sophisticated homes and offices. We invite you to visit our showroom to view our exclusive collection of fine furnishings which include wood and stone furniture designs, patio and garden furniture and dramatic accessories. Whether remodeling your home, or purchasing a new one - we're here to help. A complimentary in-home design consultation with a HOUSE OF ZUNN expert is your first step in updating and improving your home. Our design consultants and dedicated project coordinators are committed to providing you with the best information possible. Set up an appointment that fits your schedule. We'll listen to you. Let us know your project expectations, budget and style. We'll discuss different styles and options to find exactly which ones meet your needs. We'll take pictures and measurements of your current home to be able to better plan your space. Our consultants will begin to choose the furnishings and accessories that will complement your home. They will then create a virtual mock-up for your specific project and will prepare a presentation with overlay images of the product options to show you what they'll actually look like in your home. At the end of the consultation, we'll provide you with an in-home estimate. If you're ready to move forward with the project, we'll keep you informed on the product arrival and installation dates. Choosing the right company to furnish your primary home, vacation home, or investment property is the key to maximizing your investment. At HOUSE OF ZUNN, we create one-of-a-kind custom furniture packages. From furniture, fabric selection and accessories, to just the right finishing touches, HOUSE OF ZUNN has simplified the process by creating beautiful Design Furniture Lifestyles. HOUSE OF ZUNN takes it a step further by allowing you to customize based on your needs. You can start from scratch, or choose a pre-selected concept and mix-and-match rooms from other packages. At HOUSE OF ZUNN, it’s all about you and your sense of style. Products: Finely finished furniture of the highest quality and workmanship. Much of the furniture is manufactured using imported woods such as cherry, mahogany or oak. Services: Complete interior design services and furniture design. After-sales service and a lifetime warranty offered on all products at House of Zunn. Modern Amenities: In-house AutoCAD and 3D design services available for customers. Additional Locations: Dubai, with other locations opening soon! What's New? New designs and styles arrive regularly. What to Expect: A large contemporary luxury showroom featuring an elaborate selection of high quality, finely finished furnishings and garden accessories. Unpretentious, friendly customer service and a dedicated, efficient and knowledgeable staff.